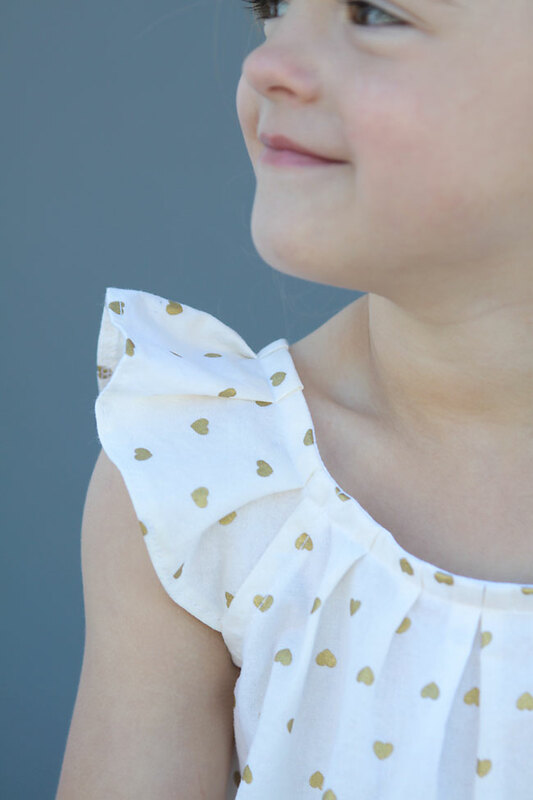 Last summer I shared a free pattern for a flutter sleeve dress (or tunic) in girls size 4T that featured a gathered elastic neckline. 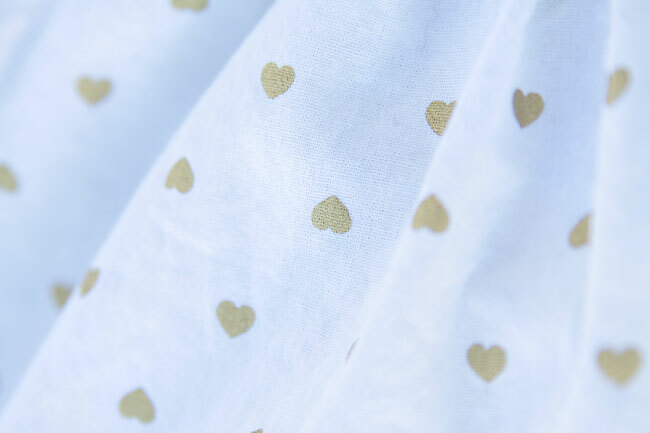 It’s a very easy sew that doesn’t take much fabric, and it’s been one of my most popular sewing posts of the past year. Since we’ve had such a lovely early spring this year, I decided to sew up another one, this time with a pleated neckline. 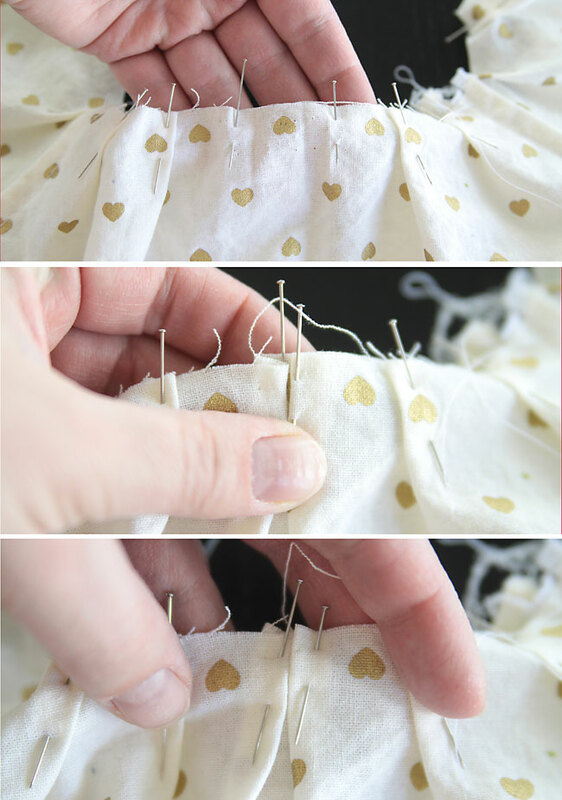 The pleats are just as easy (maybe even easier!) than the gathered elastic neckline, and they give the dress a slightly fancier look. I also added a color blocked panel at the bottom just because. The dress still has the puffed flutter sleeves and A-line shape of the original dress. Because the neckline isn’t elastic, I added a simple button closer in back to make sure it would fit easily over my daughter’s head. 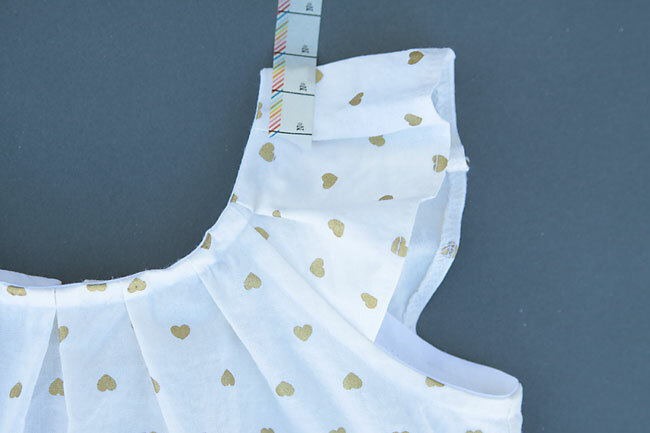 The pattern size is fairly flexible – my daughter is starting to wear 5T in commercial clothes, but the 4T pattern still fits her just fine (I did add about an inch of length). 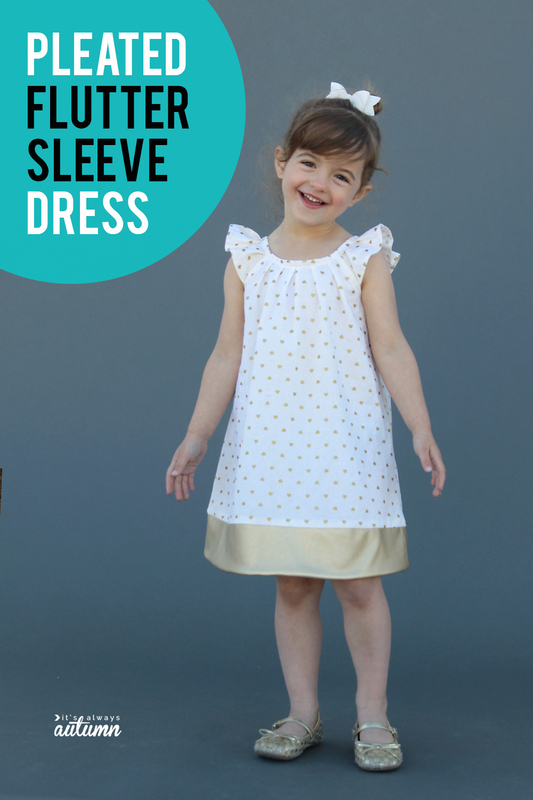 If you want to make a pleated neck flutter sleeve dress, download the pattern from this post. Print it out at 100%, being sure that the text square measures 1 inch exactly. I did not add any trim to the sleeves, like I did on the original dress, so just begin by finishing the bottom edge of each sleeve. I serged the edge, turned up 1/4 inch, and sewed. If you don’t have a serger, a rolled hem would be a great idea. Next, I sewed the dress pieces together and attached the sleeves and finished the armholes as shown in the original tutorial, using bias tape. Next, we’ll make a little extra room in the back for a button closure. 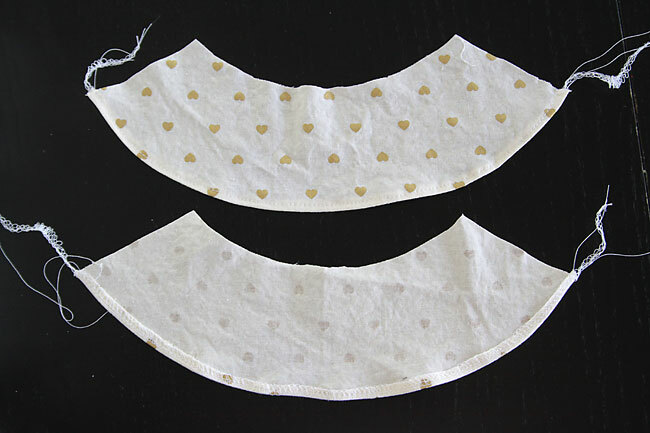 Cut a facing – a V-shaped piece of fabric 3-4 inches long – and finish the edges, then pin it to the middle of the dress back, as shown below. Cut a slit down the dress back and facing (do not cut through the front of the dress!). 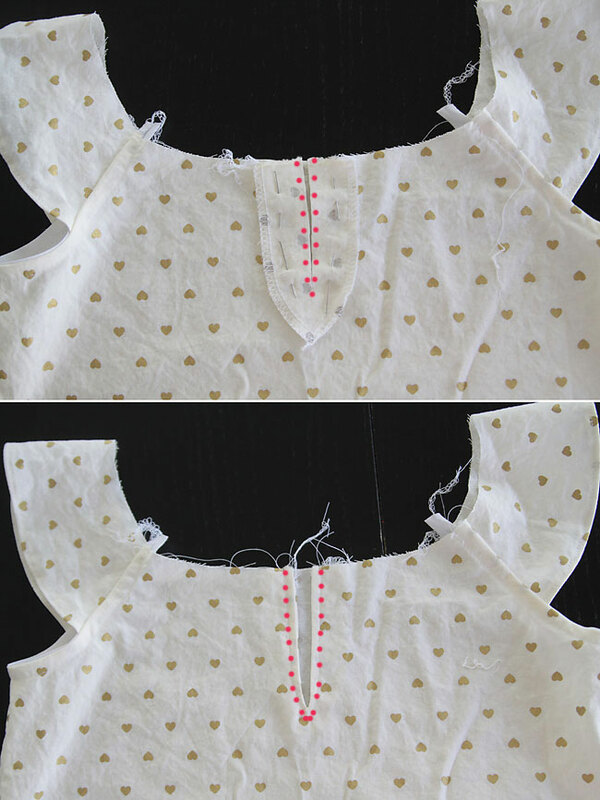 Stitch close to the slit on both sides, coming to a point just below the end of the slit, as shown by the dots below. Then flip the facing to the inside, press well, and topstitch close the the opening as you can see above. I like to reinforce just below the slit by stitching back and forth a few times. Next we’ll add the pleats. 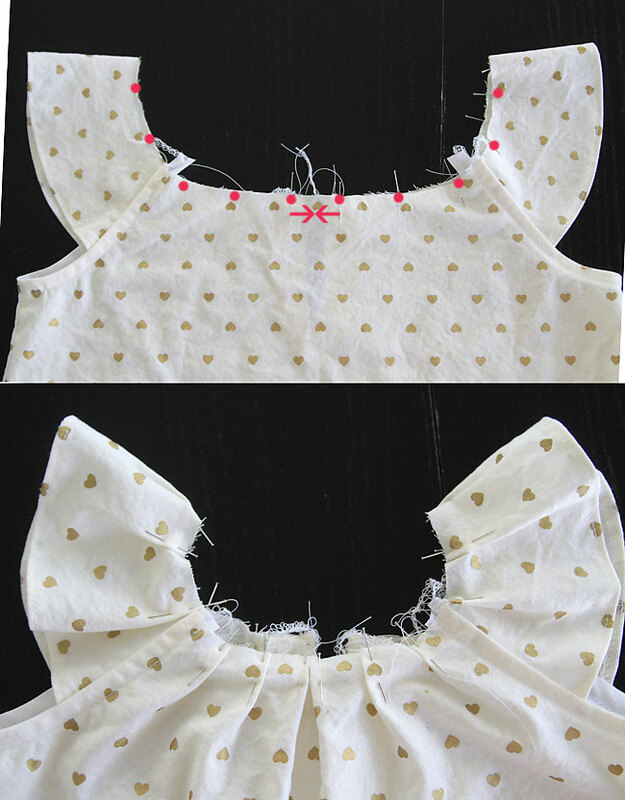 Start by finding the exact middle of the front of the dress. Place a pin 1/2 inch to the left and 1/2 inch to the right of the exact middle. 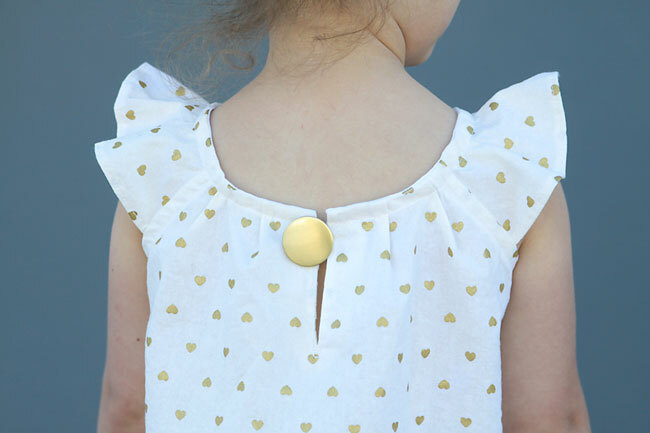 Then, working outward, place pins every 1.5 inches all the way around the neckline (you may have to make some a little bit more than 1.5 inches apart to make sure you don’t end up with a pin directly on a seam). At this point you can hand sew on a button on one side, and a loop of elastic cord on the other side. The last step is to hem the dress however you wish. I happened to have some metallic gold vegan stretch leather that I’d never used, so I decided to make a color blocked band at the bottom of the dress. I cut of the bottom 3 inches off the dress and used that as a pattern to cut pieces from the vegan leather. I cut two front hemband pieces and two back hemband pieces from the vegan leather, sewed each front to a back at the sides. Then I layered the two hem band pieces right sides together and sewed along the bottom. I turned it right side out and pressed (with a press cloth since I wanted to be sure I didn’t melt the vegan leather). 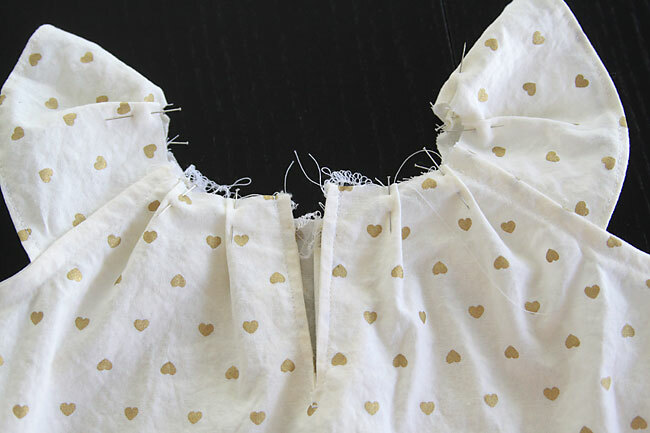 Then I sewed the hem band onto the bottom of the dress, and pressed. I love how the slightly stiffer vegan leather makes the bottom of the dress stand out a bit so you can really see the A-line shape. Sorry I didn’t get more photos of the hemband process. You attach it the same way I attached the hemband in this post, except that here the hemband will be the same width as the bottom of the dress so there’s no stretching of either piece. This is too cute! I LOVE the pleats. 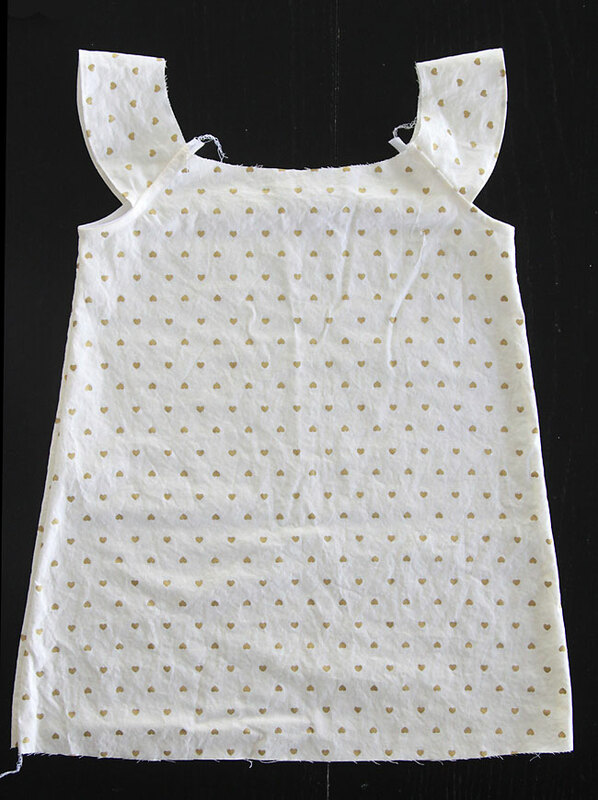 It it very similar to a couple GAP dresses I’ve bought on clearance for my daughter! 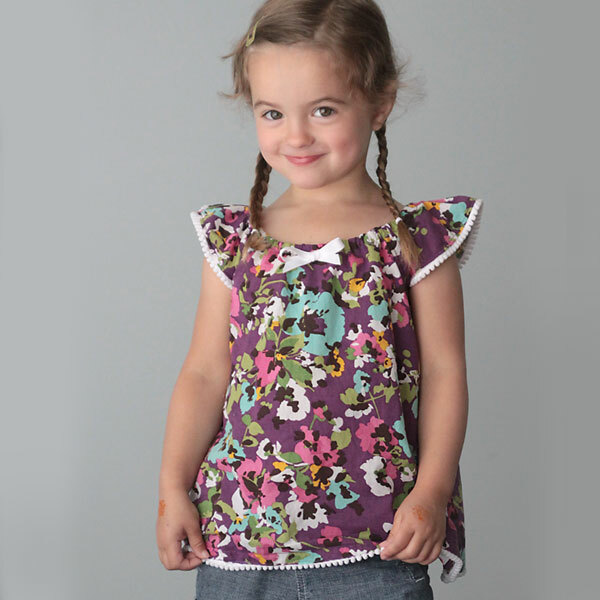 Hello, Jennifer my name is Donna and i am new to sewing so i wondered if you could help me? i want to know what 4T means as i’m not familiar with this term? I just think you are the best! This tutorial is even better than the last one I followed. I am a total beginner and stumbled my way onto your amazing blog. Now I am your grasshopper! 🙂 Keep up your amazing blog and cool clothes for kiddos. Have not been able to download the pattern. Can someone help. Lovely! Great ideas and simple instructions! Many thanks for this nice pattern and the good tutorial. I just sewed this dress for my little granddaughter. She is only 2 and so I printed the pattern at 80% which fitted perfectly. The dress turned out absolutely cute. Now we are only waite for warmer weather so she can wear it. I’m going to make this soon. How much material does it need? I LOVE this pattern. Your tutorial is very thorough and easy to understand. I usually sew dolls and softies and as a mom to four boys I don’t make dresses often but love to for my niece every now and then. How could I alter the pattern to make it fit larger or smaller sizes? Thank you so much. Your instructions are very easy to follow. I made this dress for my niece out of my fiancé’ old button down shirts. It worked great! Again thank you very much! 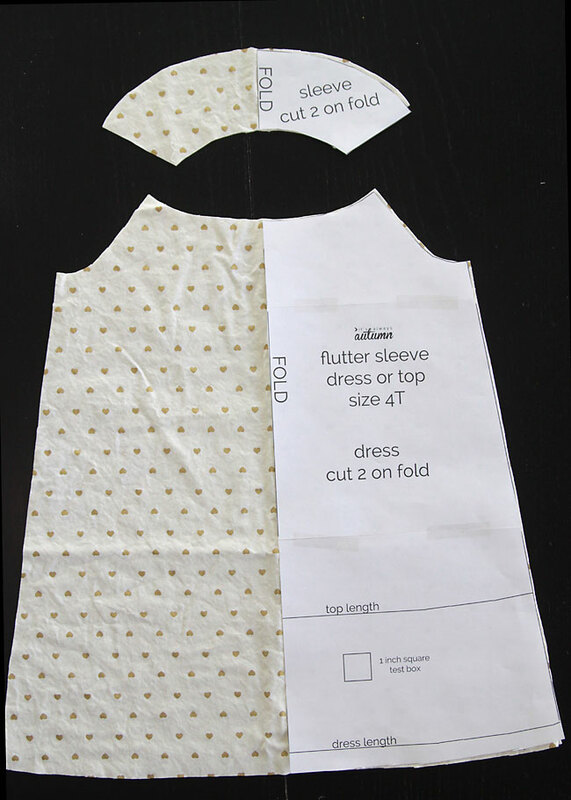 In the original dress tutorial you showed how you can make your pattern for a different size. If I wanted to make my dress for a 12 month old how much extra length will I need for the pleats you think? I made one today. It went together really fast and came out nicely. I used light weight corduroy. Muy bonito, me encanta todo lo que haces. Un saludo. thanks so much. but i’m not able to find the pattern for the PLEATED flutter sleeve dress. can you email the link to the pdf to me or post it here again? thanks so much! Loved this dress for my little! Pics on links. I love this pattern and will make it. I appreciate the tutorial not being streamed. We have satellite which is the only thing available to us. Data is extremely limited so being able to use the reading is fantastic! Also I learned a lot about using bias tape and how to make a rolled hem 😉 Thank you so much! Love it so much, can´t wait to sew ist! thanks so much! Love this dress!! Found a super cute fabric with cherries on it and added a red band at the bottom and made the flutter sleeves out of red fabric. My daughter loves the dress too! Thanks for sharing! 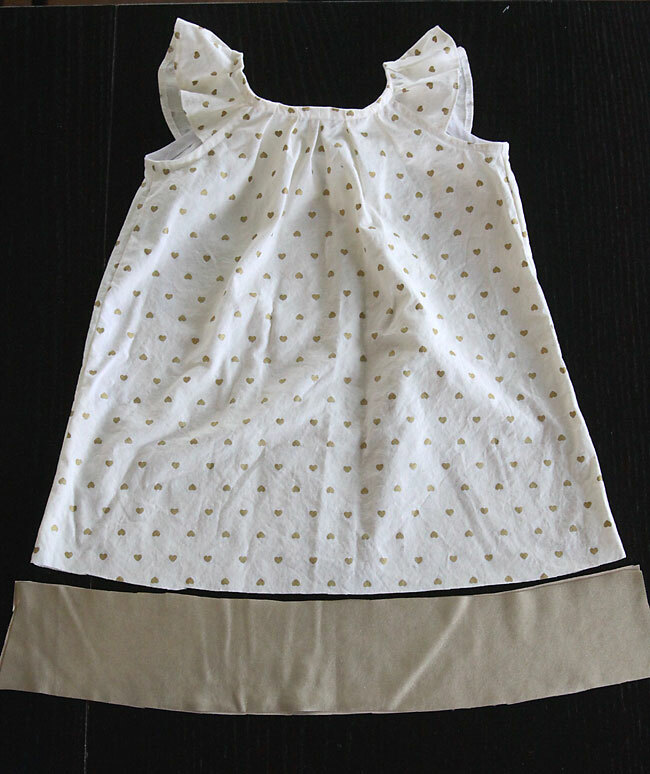 Hi..I liked thid pattern very much(golden hearted)..but i did not find any measurements here.n i want to make this frock for my 9 month old niece.so better if i got measurement.. Thank you for sharing your talents! ❤ I made this for my granddaughter, it turned out so cute! The pleats are a great idea! Easiest dress I’ve ever made? Hi, I LOVE this pattern. but I can’t find where to download the pattern. Could you please send it to me? Thank you in advance!